When it comes to offshore pipeline installation works we are specialists with a track record of completing some of the largest intake and outfall pipelines in the region. 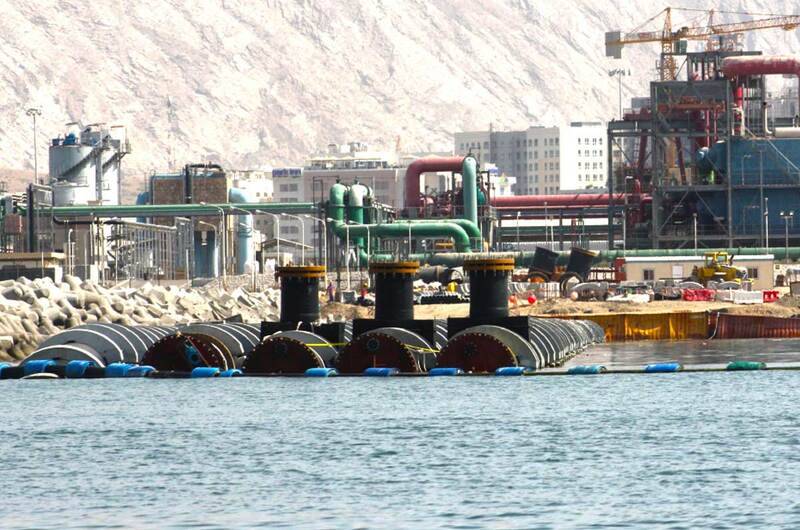 We supply, install and commission HDPE, concrete and GRP pipelines of various sizes and configurations throughout the GCC for both government and private projects, with the vast majority being pipeline installation projects for desalination and power plants. Our proven capabilities include supply and manufacturing of pipelines, diffusers, intake screens, manholes, concrete blocks, gabions and other accessories as required. Union Dredgers is able to handle the complete scope, from onshore and offshore excavation, pipe welding, laying, testing and commissioning. In addition our experienced design team is capable of designing and managing a full turnkey marine system to meet all your needs from feed to final approval. Design works such as ballast blocks, general arrangements, intakes, diffusers. Supply of all necessary material.